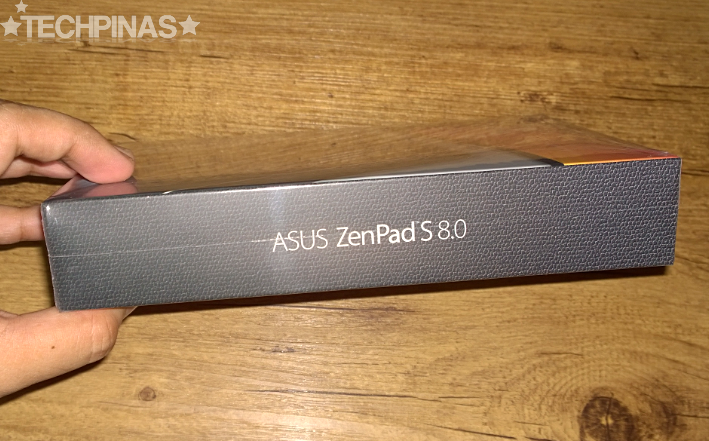 Considering its stunning aesthetics and stellar feature-set, I'm inclined to believe that the Asus ZenPad S 8.0 is one of the best - if not the absolute best - 8-inch Android tablet that you can purchase with your money currently. In the coming days, I'll be doing a number of posts to show you the many cool things that I find particularly attractive about this model. But for now, let's do a quick unboxing of this TP Recommended slate. 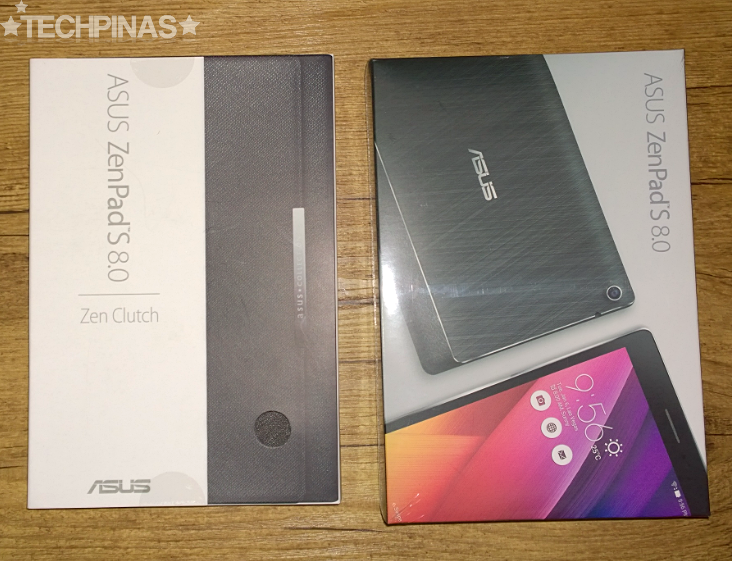 My package came from Asus Philippines and I think this is exactly the retail pack - inclusive of a free Asus ZenClutch case - that they are now selling for Php 16,995, nationwide. The outer case - housing two smaller boxes - has stickers at the back giving you the technical specifications of the device. 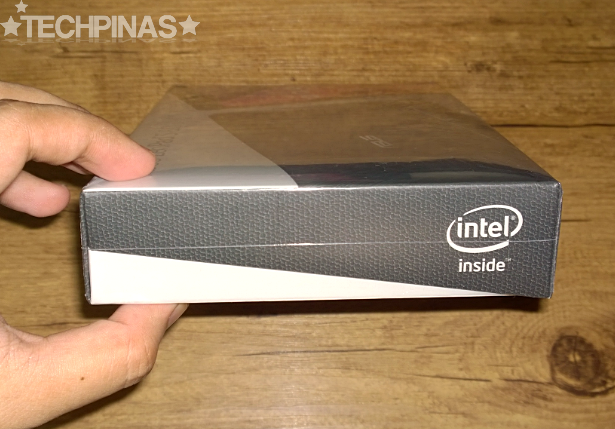 I have Z580CA Black version with Intel Atom Z3580 processor, 4GB of RAM, and 64GB of internal storage; The best variant of this model. The combination of these internal hardware truly provide a top-notch, ultra-smooth, and lag-free gaming and overall touch experience. Removing the paper sleeve, you will be greeted by the two packs. 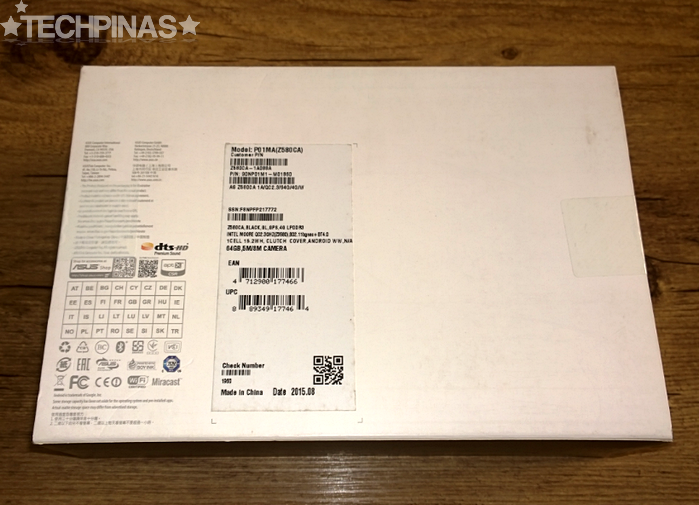 The box containing the ZenPad S 8.0 itself is sealed and wrapped in plastic. ZenClutch comes with separate packaging, which I like. 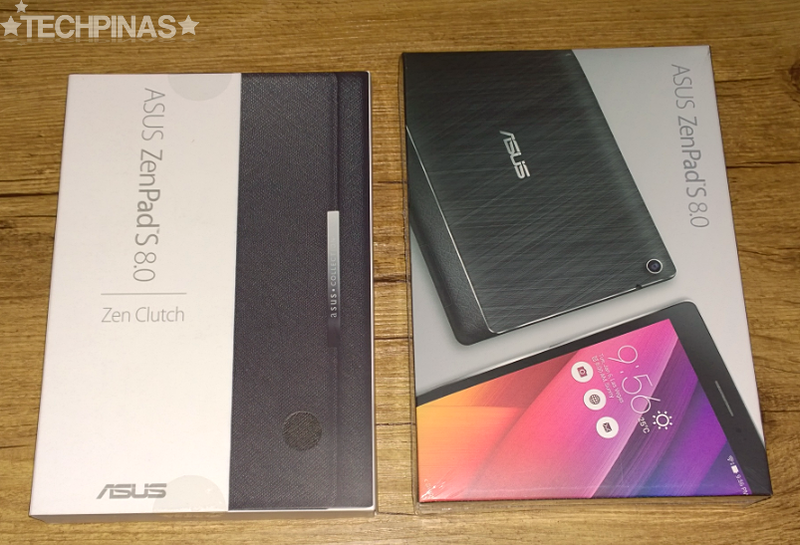 The way that Asus packaged the product instantly gives the impression that it is a premium device. Let's open the tablet's box first. 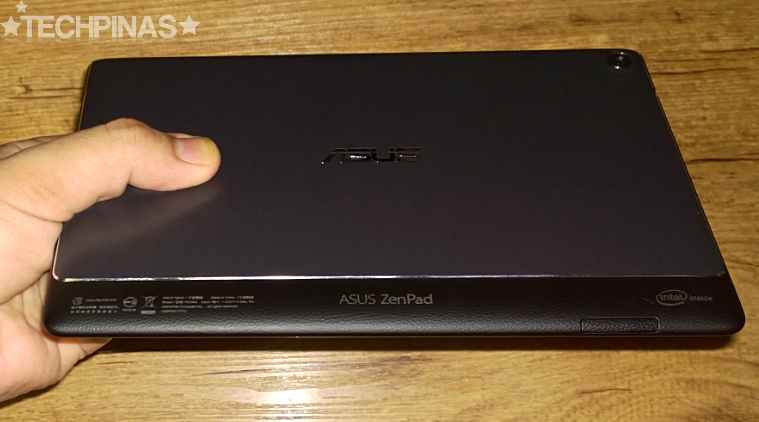 It's fairly thin and small for a device having an 8-inch screen. Less carbon footprint; We love that. Sidenote: Of all active mobile device makers, Asus is probably the one company that has greatly helped Intel penetrate the scene. 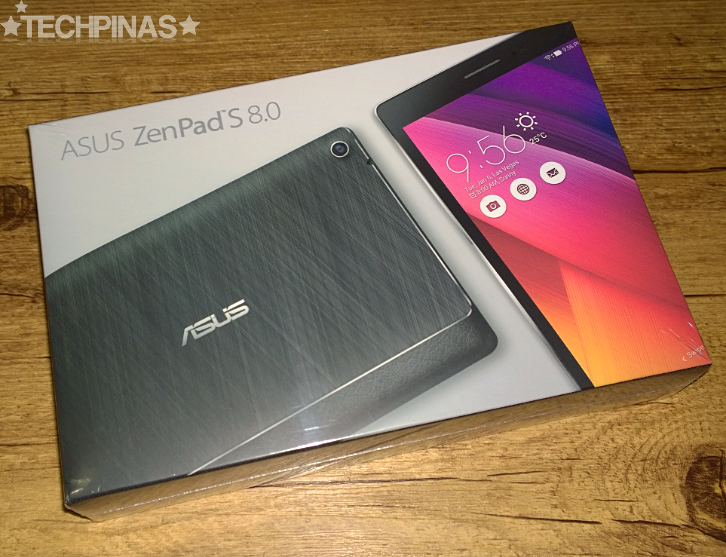 The best-selling Asus ZenFone 2, in particular, opened the eyes of the public to what high-end Intel mobile processors can do. Again, you have all of these stickers at the bottom of the case so you know exactly what you're getting. 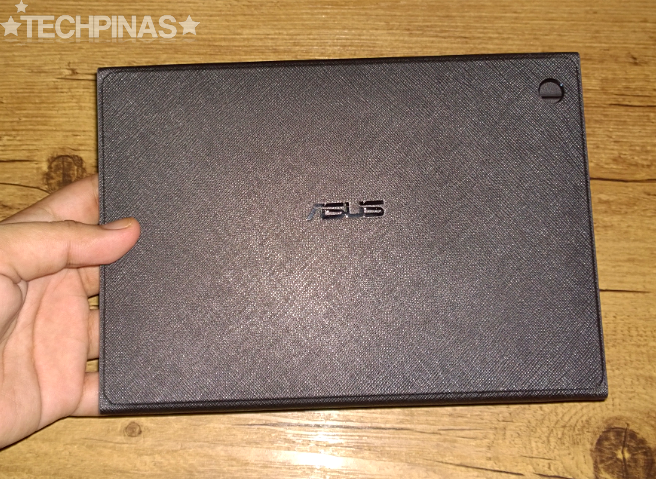 Thumbs up, Asus. I'm a fan of details and I appreciate this. This is the entire package. 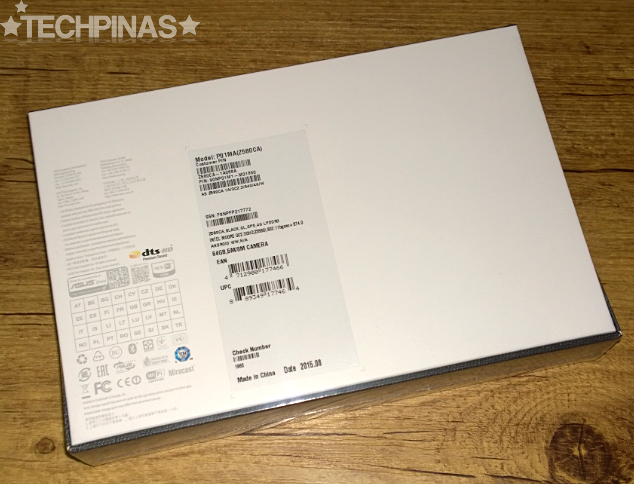 You have the unit itself; The travel charger; The USB Type C cable connector, User Manual; Warranty Card. 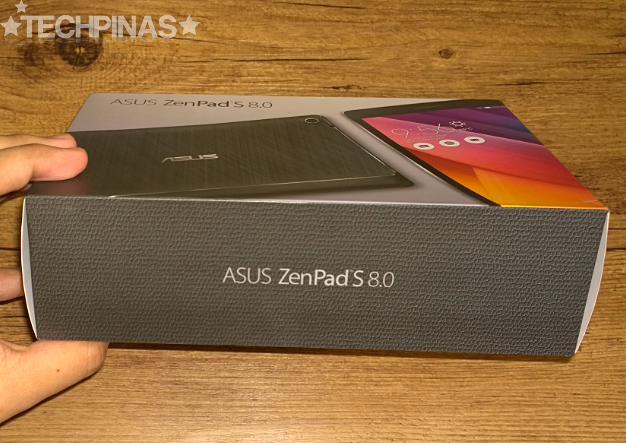 I wish that the pack also includes earphones but I guess Asus left that one out to keep the price of the product rather manageable. The back plate of the device is crafted from aluminum and this brushed metal finish makes it look all the more luxurious and elegant. The lower part is made of plastic with faux leather finish and there you will find the microSD card memory expansion slot supporting up to 128GB. I'll show you more photos of the product and its user interface soon -- so please stay tuned. 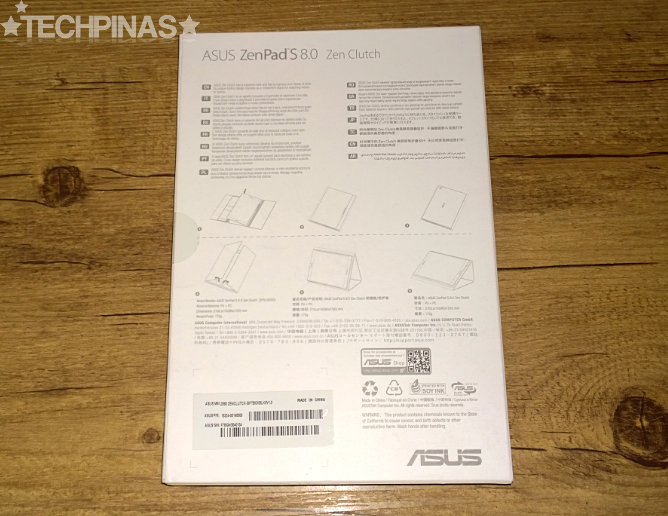 For now, let's proceed by unboxing Asus ZenClutch for the ZenPad S.
Sleek and stylish, ZenClutch doubles as a protective carrying case and two-way stand for the flagship tablet. 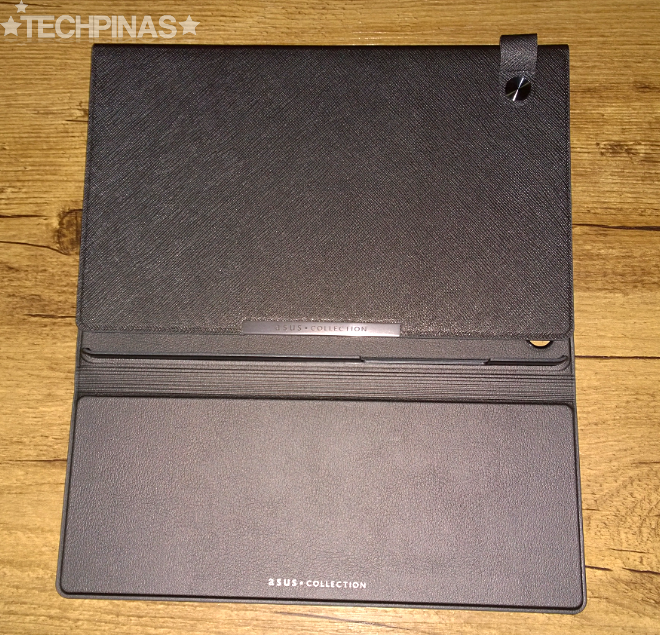 I've played with many cases designed for tablets and this one is right up there with the best of them. As a stand, it has a viewing or presentation mode that puts the display almost parallel to your face and a typing mode, which is more reclined. More about this in a future TP post. 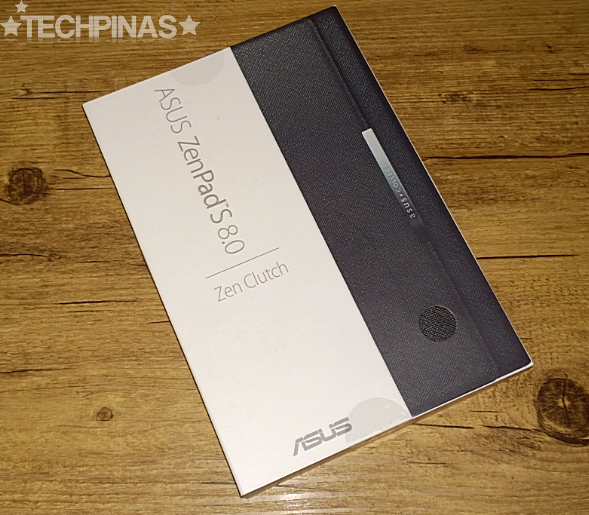 ZenClutch's exterior is crafted from faux leather with an opulent wrinkled finish. 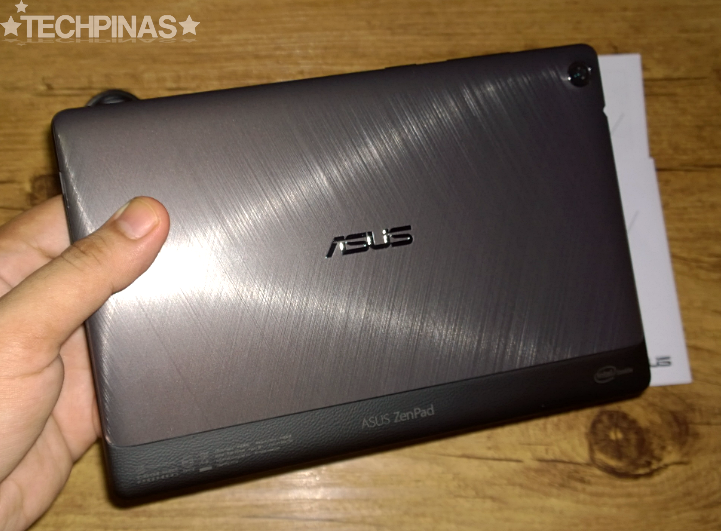 At the back, you'll find a noticeable chrome-plated Asus logo for branding. In front, there's a loop that holds the digitizer pen. 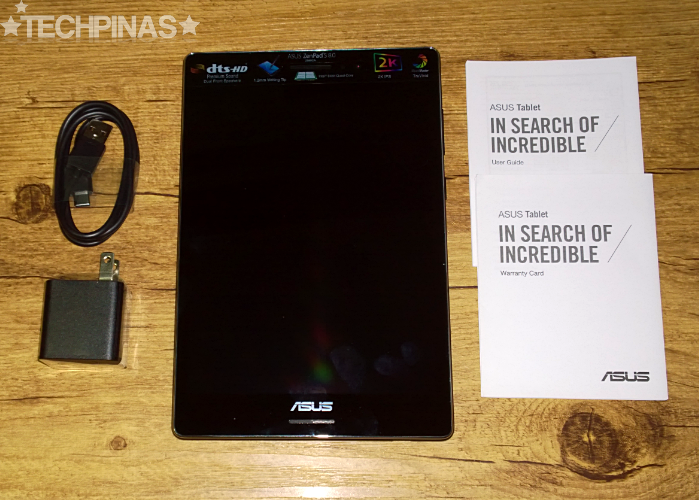 Asus recommends that you use their Z Stylus (sold separately), providing a more natural writing and drawing experience and made specifically for all of their tablets with pen support. 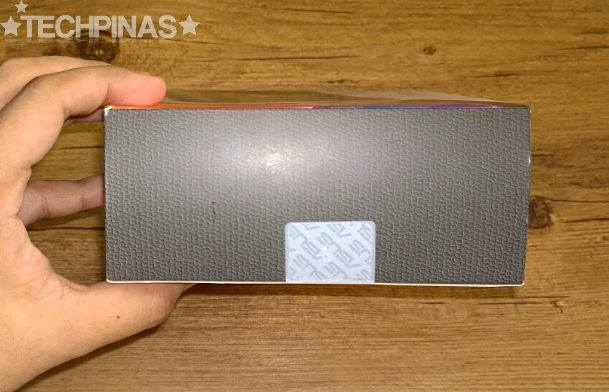 The case has a two-fold-door held together by a strip of magnet. When the smaller flap covers a portion of the slate's glass touchscreen, it automatically turns off the device's display. 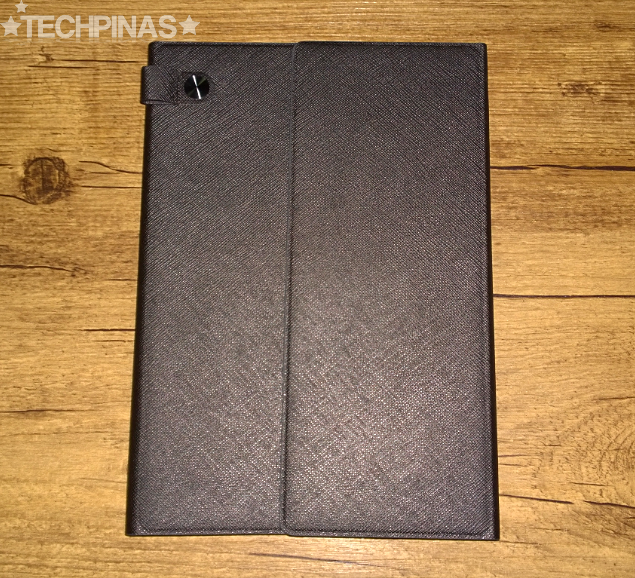 There's a hole for ZenPad's rear camera and there are also secret pockets where you can keep your business cards. 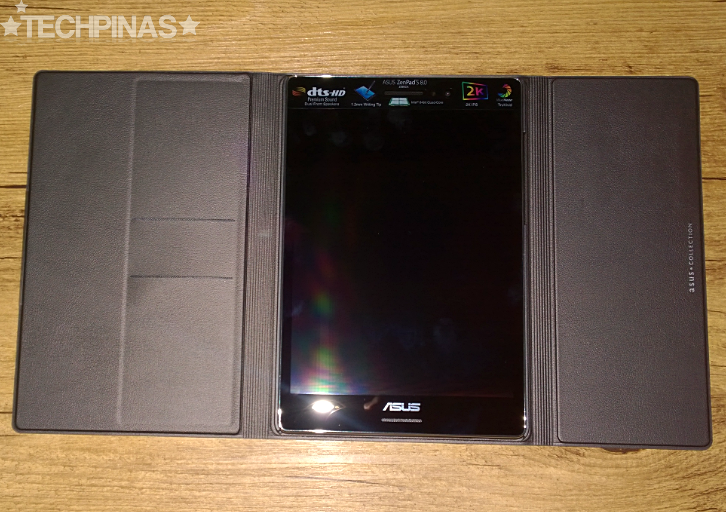 The tablet is held in place by a durable plastic frame. Just carefully slide the device in - making sure it won't be scratched - and snap it in place. 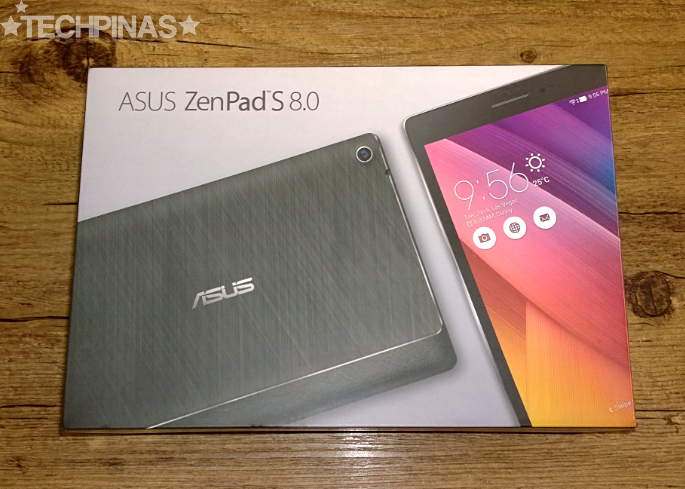 Asus ZenPad S 8.0 Z580CA is now available at all Asus Concept Stores and authorized retail outlets nationwide. Again, you can get it for Php 16,995, which is reasonable when you think about its design, construction, and key selling points. 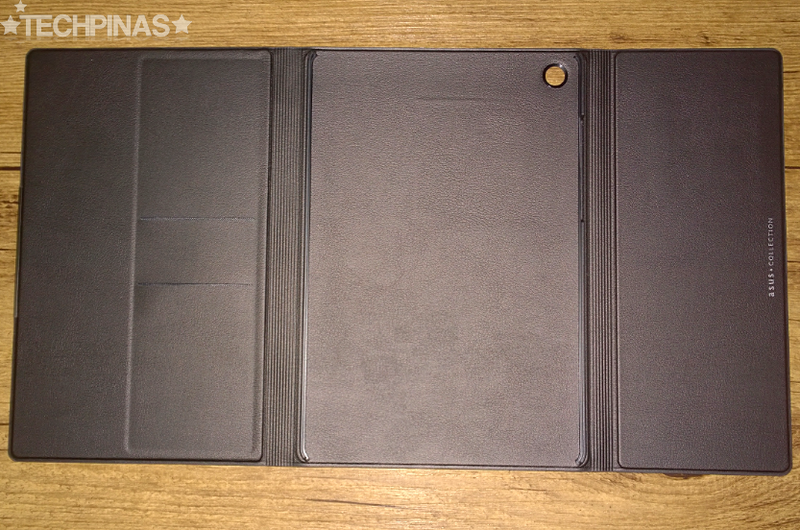 The high-end slate is out in two colors: Black and White.